IF ONE trawls through the vast, virtual world of stock market investors and analysts, one thing strikes the eye: the frequent appearance of the word “biotech”. Dig further into any posting on biotech and the computer screen gets almost deluged with recommendations for buying shares of biotechnology companies. By the time one presses “quit”, the message hits home overwhelmingly: the global biotechnology industry is booming, and in an unprecedented way. The news is like soothing balm for the recession-hit world economy. Every new drug discovery or drug approval not only draws cheers from millions of victims of debilitating diseases but also adds value to biotechnology companies. Since the past two years, such discoveries and approvals are happening at an unusual pace, particularly in the US market. One also cannot ignore the lengthening list of generic drugs, mostly produced by small companies. This has, as analysts point out, prompted major drug companies to acquire smaller ones to retain their market share. In a complex play of scientific progress and market forces, the biotechnology industry is recording growth that can rival the information technology industry boom of the 1990s. With most conventional sources for investment being looked upon with recession-triggered suspicion, biotech has arguably emerged as a preferred investment sector. Money is pouring in and analysts are sure the sector will maintain its blue chip status in the coming years as well. The boom made global headlines this January during the J P Morgan Healthcare Conference, an annual event that provides a debating forum for biotechnology and health investors. Over four days, some 400 biotech companies cheered the growth, both in investment and market capitalisation of the industry. The first presentation by Robert J Hugin, chief executive of Celgene, one of the largest biotech firms of the US, captured the euphoria. “It is an incredibly exciting time for our industry. This is not hype and smoke and mirrors,” Hugin said. The recent financial performance data from the US, which controls the global biotechnology market, supports this claim. To begin with, biotechnology companies have performed much better than other companies in terms of return on share and market capitalisation in the past six to seven years. In 2014, some 110 biotechnology companies were listed in the US to raise $9 billion from public and financial institutions. The NASDAQ Biotechnology Index has been up 177 per cent in the past three years, compared to a 52 per cent increase in the Standard & Poor’s 500, the American stock market index based on market capitalisation of 500 large companies. 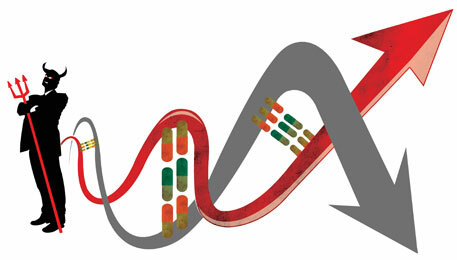 In 2013, the NASDAQ Biotechnology Index rose 35 per cent. One can gauge how big this growth is from the fact that the growth rate was only 11 per cent for the benchmark Standard and Poor’s 500. In January, some 10 healthcare companies planned to go public on the NASDAQ. According to multinational management consultant network PricewaterhouseCoopers, venture capitalists pumped $5.97 billion into biotech companies in 2014. This was a 29 per cent increase over 2013. The year saw all sorts of investors—retail, venture capital trusts, emerging market vehicles—investing in biotechnology stocks. They reported more than the expected returns, highly unusual in times of market uncertainty. This year, it seems, the industry is going to be much more lucrative, both for investors and buyers. According to journal BioCentury, till February, the biotech industry has already raised $1,819 million, taking the total investment in biotechnology up to $14.9 billion (see ‘Year to watch out for’). This growth has come almost after a decade. Biotech remained dormant and off the popular investment radar after a market crash in 2000. A few months before the crash, it was the prime choice of investors, riding on promises of progress in human genome science and a boom in drug discovery. Interestingly, the present boom is led by small- and mid-sized bio-pharma companies. In India, the world’s 12th biggest biotechnology economy and having the second highest number of US Food and Drugs Administration (USFDA) - approved plants, the industry is not only excited at the revival in the US but also about its domestic prospects. In February, the 15th edition of Bangalore India Bio 2015, the country’s annual biotechnology show by industries, noted the progress. “India’s biotechnology economy will be more than $100 billion by 2025, which will make it level with the information technology industry,” says P M Murali, president of Association of Biotechnology Led Enterprises (ABLE), the country’s only biotechnology industry association. The Indian bioeconomy grew to $4.3 billion at the end of the 2013 financial year, up from $530 million in 2003, according to BioSpectrum, a widely-read trade publication in India (see ‘Indian biotech’s steady growth’). Though concentrated in Hyderabad and Bengaluru, there are units sprouting across the country; currently some 350 companies are in operation. 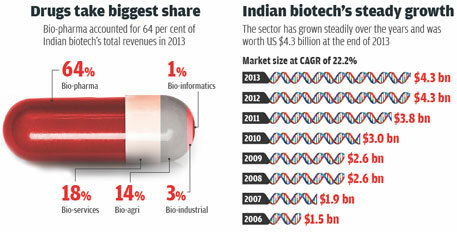 The bio-pharmaceutical sector, which includes vaccines, medical devices and stem cells, is the main driver of India’s biotechnology growth, generating close to 63 per cent of the industry’s total revenue in 2013. “Companies are doing well and the sector’s future prospects look bright. 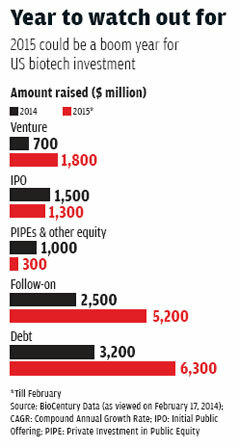 Many new start-ups are coming up in the Bengaluru cluster. This is really a good time and there is more innovation happening on the ground now,” says Murali. Kiran Mazumdar-Shaw, the CEO of Biocon, India’s first biotechnology company, says, “If we compare the Indian biotech industry with its global counterpart, we find that we are going there in terms of capability but as far as investment is concerned, China and America are far ahead. India has a huge market. Going by this, the sector will become only bigger.” Biocon was in news last August when it launched Alzumab, an anti-CD6 antibody for the treatment of psoriasis. The global market for psoriasis drugs is expected to reach $8 billion by 2016. This has excited the attention of investors who look forward to lucrative returns from biotechnology. “We had the stars aligned very well for us a decade ago, which we did not capitalise on due to ambiguous regulatory policies and knee-jerk reactions. Hopefully, the lessons learnt from the past will now be used to accelerate growth in the health and agriculture sector,” says Murali. The biotech economy boom is definitely not a “gold-rush” kind of phenomenon where desperate investors chase a success story. Since the crash in 2000, many developments have happened in drug science and policy, that are fuelling the biotechnology industry’s growth. It is not just a demand-supply phenomenon. There is an overarching change in drug policy in various countries and a push for freeing drugs from the patent regime. This is leading to a major realignment in the biotech industry in terms of investment. But the primary reasons for the current boom are: a spurt in new drug approvals in the US, discovery of new drugs for diseases like cancer, hepatitis C and cystic fibrosis, and a major phase of drug patents expiry. Besides, recent progress in technology and increased investment on research and development (R&D) have lowered gestation period of a drug—from research level to trial to retail phase—drastically. A surge in drug approvals is being cited as the most important booster for the biotechnology industry in the US and, consequently, in countries like India (see ‘Drugs take biggest share’). In 2004, the USFDA-approved pain reliever, Vioxx, was removed from the market for raising risk of heart attacks. This led to USFDA becoming extremely cautious in granting approvals, thus slowing down the arrival of new drugs in the market. Fast forward to 2014 and the USFDA seems to have thrown caution to the wind. It approved 41 new drugs, the maximum for any year since 1997. Six of these were approved under USFDA’s Accelerated Approval Program that allows early approval of a drug for a serious or life-threatening illness. Just two years before, in 2012, USFDA had approved 39 drugs, the maximum for any year in a decade-and-a-half. John Jenkins, director of the Office of New Drugs in USFDA’s Center for Drug Evaluation and Research, has a word of caution. In his annual state of affairs blog on USFDA site, he noted that fast approvals were “more of a health need than any business support”. The newly-approved drugs consist of eight new drugs for treating patients with various types of cancer, four new drugs to treat Type-2 diabetes, four new antibiotics to treat serious infections, and two new products to treat patients with hepatitis C. Given the large number of people suffering from these diseases, the approvals came as a major market boost. In fact, in his blog, Jenkins celebrated the fact that USFDA’s approvals are now given much before the stipulated deadlines. Recently, it approved Lenvima (lenvatinib) for a type of thyroid cancer. Manufactured by Japanese pharma firm, Eisai, the drug treats progressive, radioiodine-refractory differentiated thyroid cancer. The approval was given well ahead of the drug’s official deadline of April 14, making Lenvima the fifth cancer therapy in the past 11 months to be approved more than two months ahead of its due date. The change in the US law has also led to fast approvals of antibacterial and antifungal drugs. The government added a provision, the Generating Antibiotics Incentives Now Act, to the Food and Drug Administration Safety and Innovation Act. This new provision is to promote development of antibacterial and antifungal drugs by granting a special designation—Qualified Infectious Disease Product (QIDP). So far, USFDA has granted 57 QIDP designations to new experimental products. A QIDP designation grants a manufacturer the right to receive “priority review and fast track” status from USFDA, significantly shortening the time for drug approval and allowing special consultations during the process with experts from the agency. QIDPs also receive an additional five years of market exclusivity. 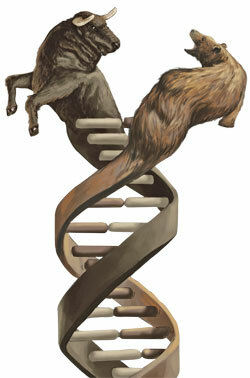 As mentioned earlier, the new boom is led by small players in the biotechnology industry. Most of these small players are seeking approval for new drugs. Of the 41 new drugs approved last year, 22 are made by little-known companies in the US. This is why the approvals are cited as boosting new business and new investors. Hans Bishop, CEO of Juno Therapeutics, pointed this out during the Morgan annual conference. “While the relentless growth-in-revenue dynamic of big pharma means they face distraction from having to pad their portfolios with follow-on drugs, start-ups, by definition, have no choices but to focus on one new thing,” he said. The approvals also indicate another key reason for the boom in the industry: advancement in drug development. There have been major breakthroughs in treatment of critical diseases like cancer, diabetes and hepatitis. These three diseases afflict millions of people across the world and there has been enormous demand for new effective medicines. It is for the first time in history that worldwide prescription drugs sale will cross $1 trillion by 2020. From 2013 till 2020, it will grow 5.1 per cent annually. This growth comes after two years of stagnation. R&D spending by biotech companies has proportionately surged. For example, in the US, the value of R&D commitment went up by 46 per cent in 2014 in comparison to 2013, according to Evaluate Pharma, a leading research body focused on the biotechnology industry. The World Preview Report 2015, brought out by Evaluate Pharma, says that this is the highest figure since 2008. The next big push for the industry comes from the unprecedented increase in the market for generic drugs, particularly in the US that controls the global market. Similarly, middle-income countries like India and Brazil are reporting increased demand and local manufacturing capabilities. 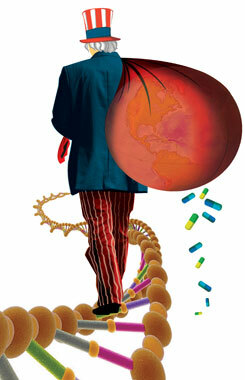 US President Barack Obama’s healthcare reform is centred on low-priced drugs that can be made possible by generics. The US is already pressuring drug firms to lower prices to reduce cost of government programmesand to lower insurance rates, which will benefit people. Though at present, generics account for 70 per cent of America’s total prescription sales, market analysts estimate that it would grow further. But what is fuelling the surge in generic drugs growth? The definition of generics covers a group of medicines called biosimilars. These are termed as the “generic equivalent” of branded biological products or biologics that are created through biological processes instead of chemical synthesis. The world is witnessing an unheard of boom in these medicines. Research and market analysis group Datamonitor estimates the global biosimilar market will grow from $243 million in 2011 to $3.7 billion this year. That is a 1,422 per cent growth in just four years. Sandoz, the global leader in biosimilars, has estimated that the market could reach up to $30 billion by 2020. These medicines are popular for treating various cancers, rheumatoid arthritis and adverse cardiovascular conditions. Patented and brand biologics are expensive and turn out to be prohibitive in case of diseases like cancer and hepatitis. The biosimilars are relatively dirt-cheap and are now being supported by governments of developed countries precisely for this reason. It is estimated that in 2014, the US accounted for 80 per cent of the global market and European countries are already evolving supportive policies. Initial estimates have pegged drug cost savings at 20-30 per cent in countries that have already approved biosimilars, and one study by global policy think tank RAND Corporation estimates that the US could save $44 billion over the next decade through biosimilars. Biosimilars are gaining ground for another development in the biotechnology industry: currently, many global pharmaceutical companies are going to hit the “patent cliff” or will be facing a situation where a significant number of their patented drugs will be out of a restrictive regime. With a patent, a company does not face competition in selling the drug for 20 years. But once this period is over, generic drug companies are allowed to manufacture the same drug. Global players like Merck, Pfizer, Glaxo Smith Kline and Bristol-Myers Squibb Co are going to lose their patents on many top-selling drugs. Evaluate Pharma estimates that $100 billion worth of drug sales will be in jeopardy due to expiry of such patents in 2014 and 2015. By 2018, this amount will increase to $290 billion. This covers popular drugs like acid-reflux pill Nexium (made by AstraZeneca), cholesterol-lowering drug Vytorin (made by Merck), and anti-inflammatory Celebrex (made by Pfizer). This is advantageous for generic drug manufacturers. First, the big players have already spent on research and marketing of the drug, thus doing away with the need for spending in these areas. Lower input costs allow generic companies to charge 60 per cent less than manufacturers of branded drugs. This results in an immediate boost to these companies’ revenue—and their share prices. Generic companies have been quick to snap up the market created by patent expiry. According to Bloomberg, $60 billion in revenue was lost by pharmaceuticals to cheaper generic competition between 2010 and 2012. Another $50 billion may be lost in the next five years. On the other hand, the big pharma players facing patent expiry are cutting down on human resource and R&D costs, and are thus flush with funds. This extra fund is being used to buy small companies or getting invested in them. This is leading to a situation where several generic and small biotechnology companies are being bought or merged with existing companies. “We see mergers and acquisitions (M&A) in the healthcare sector being up materially in 2014 at all size levels and across all subsectors,” Jeffrey Stute, J P Morgan’s head of healthcare investment, told Bloomberg. For example, the big companies that are going to lose patents are, in fact, ready to pump in money to buy new generic companies. Bristol-Myers, flush with billions in cash, has already declared its intention to buy companies manufacturing drugs for cancer, virology and specialty drugs. Merck is looking for similar acquisitions. “Based on the strong stock price reaction to strategic M&A announcements, shareholders are telling companies they want them to do M&A,” Stute said. The bull run continues. But the ghost of 1999-2000 bubble still haunts the sector. 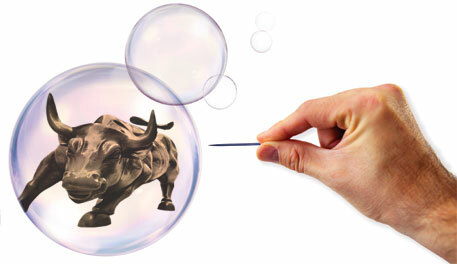 Is the new boom a bubble that might burst? “There is some hype but it is not a bubble at all and won’t burst. This sector is not facing a situation similar to what the information technology sector faced in early 2000s. It is need-based and has to solve many problems,” says an optimistic Mazumdar-Shaw. But there is a rider. “In India, no investor or government is even interested in research, which is very important for the growth of the sector,” says Mazumdar-Shaw. Murali also give his thumbs up to the boom. “There will always be ups and downs. Initially, the sector was hyped but now it is coming close to what is called reality. Now real evaluation of the field is coming,” he says. But market as an indicator is always fragile and unpredictable. For example, there are some critical voices that raise concerns over the not-so-serious players jumping onto the bandwagon to make quick bucks. In such a case, at the slightest sign of a down in the market, there will be a crash as such investors will quit the sector. However, despite the current boom, biotechnology shares have not been overvalued as in 2000. This is an indicator that the past may not play out in 2015. But there are overall apprehensions about the industry. Arjun Kejriwal of Kejriwal Research & Investment Service Pvt Ltd, a Mumbai-based organisation providing financial solutions, down- plays the sector’s eminence in India while hinting that public investment may not be as big as it is made out to be. “As of now, there is no big enthusiasm to invest in the sector. Whatever investment has been made is because analysts have termed it as a sunrise sector,” he says. It is popularly said money is meant to circulate. Who knows which way it will circulate this time around?